Formula Renault 2.0 Northern European Cup racer Seb Morris has been confirmed as the latest addition to the Caterham Racing Academy - meaning the 18-year-old will compete in 2014 with the full support of the Caterham F1 Team's driver program. near Wrexham, makes the step-up to Formula Renault 2.0 NEC this year with Fortec Motorsport after becoming Vice-Champion of the BRDC Formula 4 Championship in 2013 with Hillspeed. Ending last season with one win and nine other podiums, he was also selected as a finalist for the prestigious McLaren Autosport BRDC Award. Outside the cockpit, Seb works with Jack Wills as one of its 'Young Britons' and as an ambassador for TAG Heuer. "Seb is another outstanding addition to our list of Academy drivers. His talent speaks for itself and we are very pleased to be able to provide him with the full range of support available to all our Academy drivers as he makes the step up to Formula Renault NEC. He will be a strong contender for championship honours this season and, if, as we firmly believe he will, he fulfills his promise, the UK will have another serious motorsport talent to back," said Mia Sharizman, Head of Caterham Racing Academy. 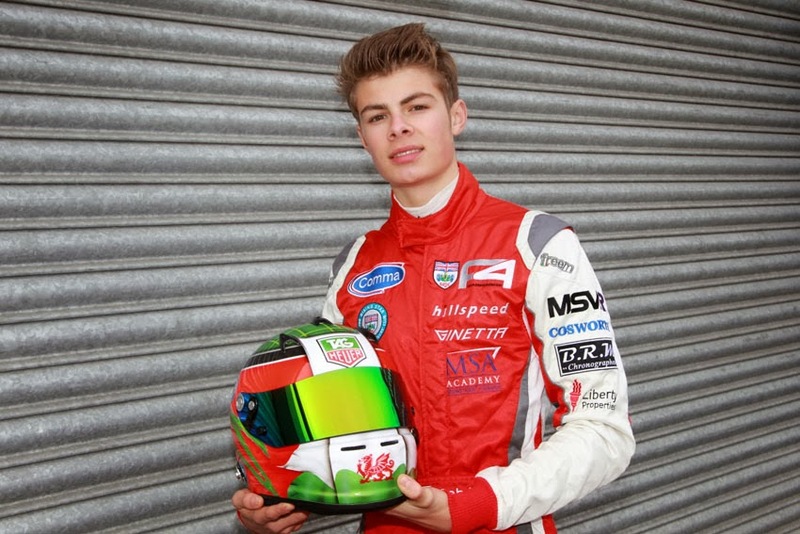 Seb added, "Joining the Caterham Academy is pretty huge for me. Matt Parry (2013 Formula Renault 2.0 NEC Champion) is someone I look up to, and who I had a real battle with in the McLaren Autosport Awards. I am following his footsteps this year, both as a Caterham driver and in NEC and I am looking to win it as Matt did. To be part of an F1 team, with all the support and knowledge that brings, is a massive step forwards for my career." Seb's motorsport career began in 2007 when he started racing karts aged 11. By 2010, he had progressed to the Ginetta Junior Championship where he showed his ability and became the youngest ever podium finisher and Winter Series Champion at 14-years-old. In 2011, Seb won the main Ginetta Junior title and was also awarded the Welsh Young Driver of the Year accolade. In 2012, Seb was selected as a member of the Motor Sports Association (MSA) Academy and was also named a British Racing Drivers' Club Rising Star. He moved into single-seater racing in the UK-based Protyre Formula Renault Championship and finished the season as the highest placed rookie and third overall. He followed this by becoming the Winter Series Champion.